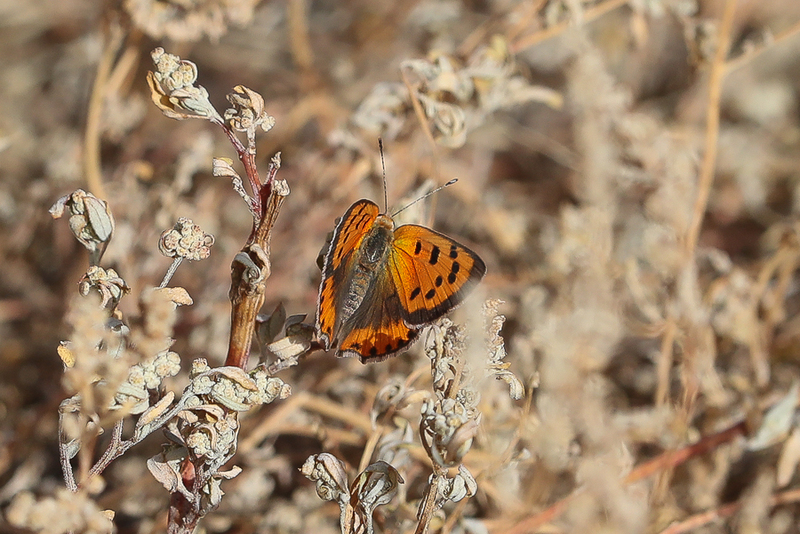 Whilst birdwatching in the Bani Saad area near Taif in the west of the Kingdom I came across a good number of Small Copper butterflies Lycaena phlaeas shima in various locations. 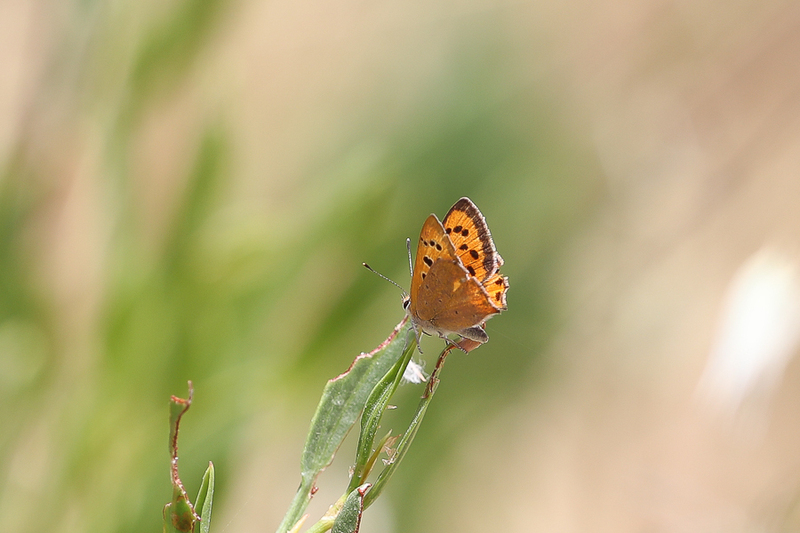 The Small Copper is a fast flying butterfly that, once settled, is unmistakable with its bright copper-coloured forewings. The upperside forewings are a bright orange with a dark outside edge border and with eight or nine black spots. The hindwings are dark with an orange border. The undersides are patterned in a similar way but are paler. The black spots on the forewings are outlined in yellow and the dark colouring is replaced by a pale brownish, gray. The hindwings are the same brown/grey colour with small black dots and a narrow orange border. It is widespread and common across Europe, Asia, and North America, and also found in North Africa south through to Ethiopia.